1. Preheat your oven to 350 degrees. 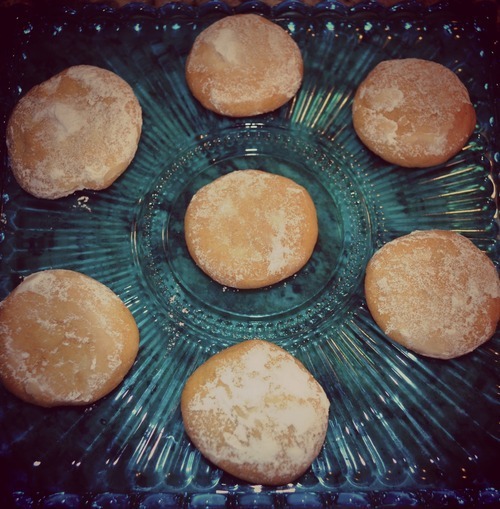 Using the paddle attachment in your electric mixer, beat the butter, lemon zest, sugar, and honey. 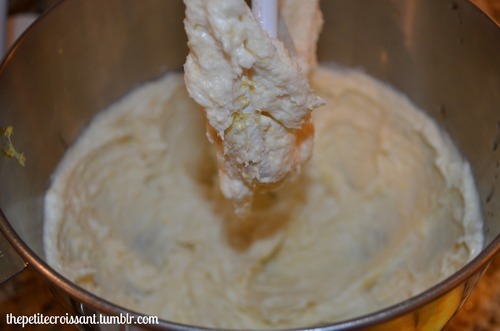 Continue mixing for 2-3 minutes until it reaches a creamy and smooth texture. 2. 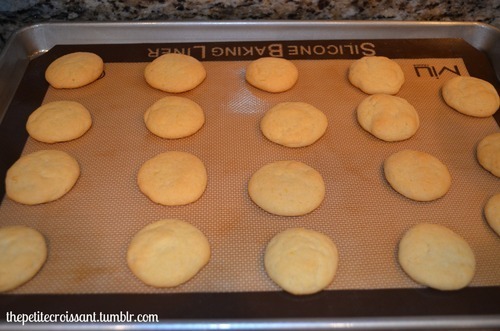 Using a spatula, scrape down the sides and add the baking soda. 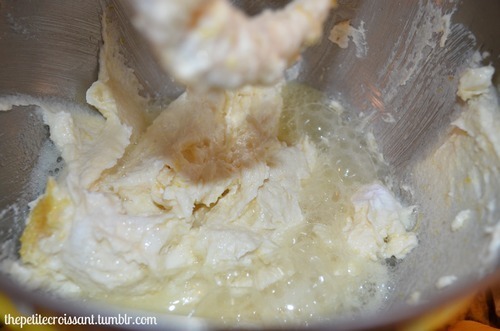 Before turning the mixer back on, pour the lemon juice over the baking soda. 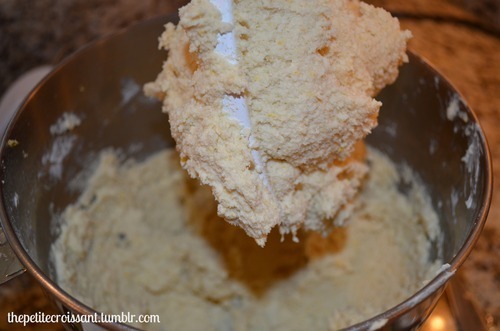 Then slowly mix several times before adding the flour. Mix on low until everything is combined. Scrape down the sides again, making sure everything at the bottom is incorporated. 3. 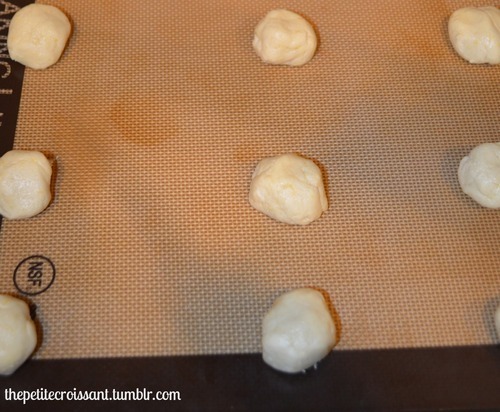 Prepare two baking sheets lined with silicone sheets, or buttered, and place the dough on the sheet in small balls, about one inch big. 4. 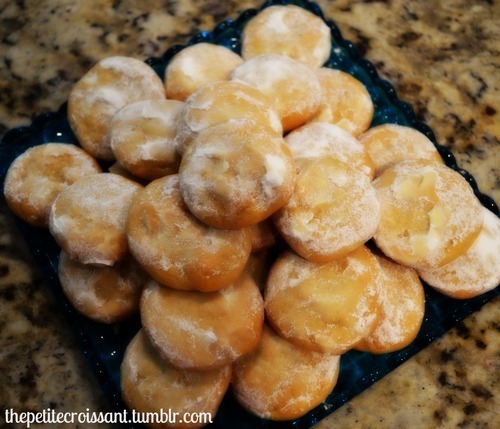 Bake for 10-12 minutes. You want them to just lightly start to brown. 5. 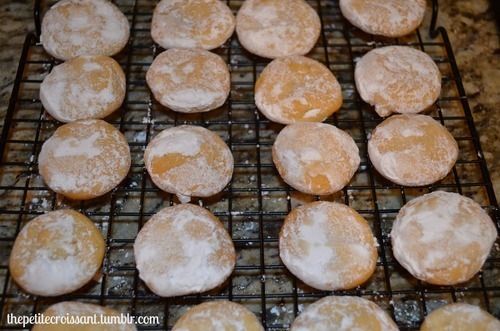 Once they have cooled enough that you can pick them up, roll them in the powdered sugar.